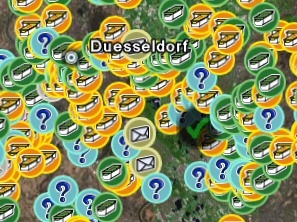 A new version of my Freeware tool to convert Geocaching.com GPX files to GoogleEarth KML files (and make the icons look nicer and filter your find and and and) has just gone online. The new release simply fixes a bug that could happen with coordinates that have only zeros after the degree sign. You can find GoogleEarthTweaker on the Download page. This entry was posted on Thursday, December 20th, 2007 at 10:54 pm	and is filed under Free, New Release, Off-Topic. You can follow any responses to this entry through the RSS 2.0 feed. Both comments and pings are currently closed.